This has been floating around the net for a few days so I apologize for just posting it now, but here's a highly enjoyable clip from the Fox drama House which makes more than a coincidental reference to Steelers coach Mike Tomlin. 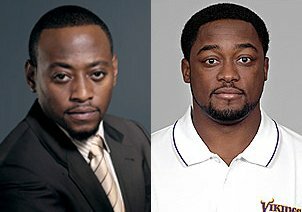 Tomlin has long been named as the doppelganger of House's Dr. Eric Foreman (Omar Epps), and this clip cleverly delights nerds like myself by finally acknowledging the resemblance. Bravo. I love this. My husband is a huge steelers fan and I have been saying this for years. They look so much a like. I love how the camera shows Epps, then House drops the "probably not as much as you do" just in case the joke wasnt obvious enough! way to post tomlin in vikings shirt, i guess you couldnt find a pic of him from the last two years in stillers apparel.